I've been moving stuff by bicycle lately. In lieu of my Bullitt - thanks to everyone who asks about it but no, it hasn't been recovered ... yet - I use my Velorbis. The front rack is a godsend. Above, I was heading back from a second-hand shop. Nothing massive, just a chair and some stuff in a bag. 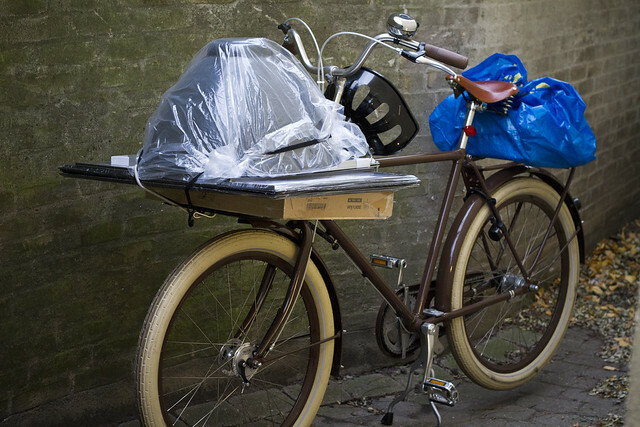 It's interesting when you're strapping something to a bicycle in Copenhagen. You notice many eyes on you when you're trying to figure out how best to get the stuff to stay on the bicycle. You're watched by people on the streets and you can see it in their eyes... they're watching you and figuring out how they would do it. You feel pressured, in a way. "Am I doing it right?" "Do they see a different way of doing it that I've missed?" Once you get the stuff on and strapped down and start riding away, the interest fades. Done deal. He's off. With the grand opening of Casa Copenhagenize - Bicycle, Bed and Breakfast - I needed some extra linen and duvets, etc. Here's my load from Jysk; two duvets, linen, four sets of duvet covers and pillow cases, two pillows, nine towels, a lamp and some other stuff. Another trip to IKEA yesterday. A table, a big lamp, a whole bunch of picture frames and a pile of other stuff that you end up buying when you're at IKEA. You know, stuff you don't need. 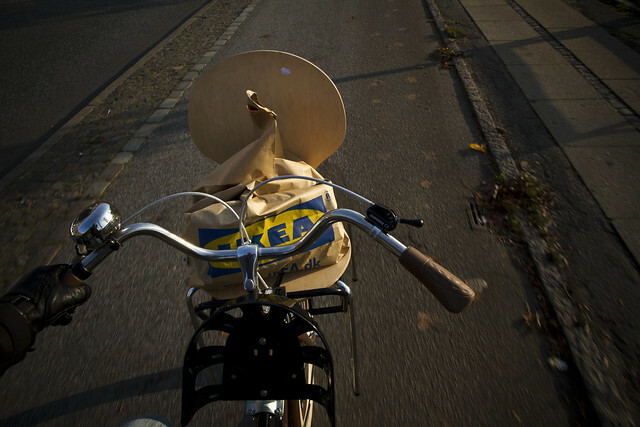 Here's a post from a couple of years ago about what it's like to ride to the big box IKEA north of Copenhagen. 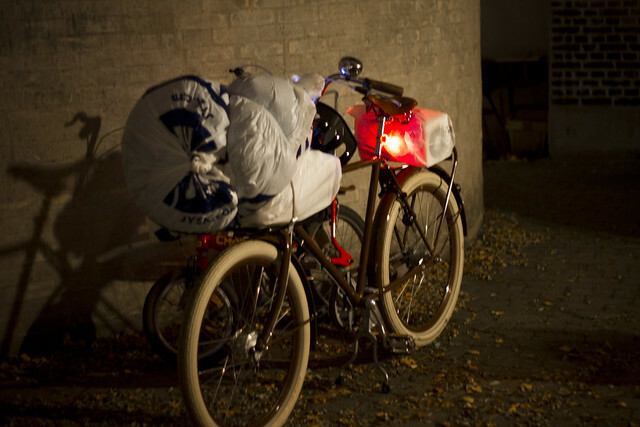 And let's not forget that IKEA in Copenhagen loan out free trailers and bicycles for their customers.